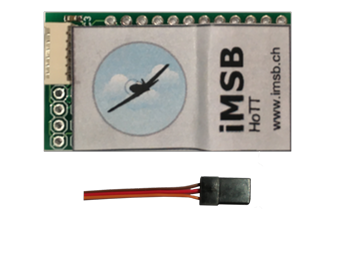 The iMSB Smart data modules for Graupner HoTT are compatible with Graupner HoTT 2.4 GHz transmitter systemsare. They are availble in two flavors. The standard protocol version is suitable for all HoTT transmitters equipped with a data port. Transmitters from the mx, mc and mz range equipped with Graupner HoTT v.4 HF modules are suitable by this module. It supports the standard 19.2 kbit/s HoTT telemetry protocol. The module is provided with a JR plug that needs to be connected to the data port. The fast protocol version supports the 115 kbit/s HoTT telemetry protocol that is currently only available for the mc-16/20/26/28 series transmitters. 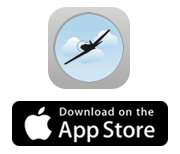 Support for the new mc-32 will be granted in the future. 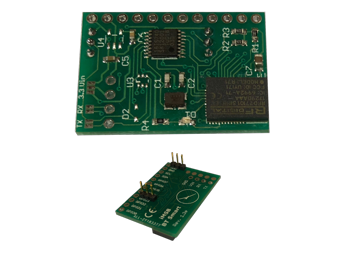 The module must be installed in the bluetooth expansion port located in the upper right of your mc transmitter. 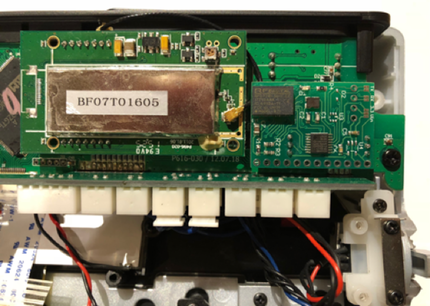 Note that this module is based on the BT 4.0 technology and is not a 1:1 replacement of the Graupner Bluetooth 2.1 device as it does not support audio or data exchange.